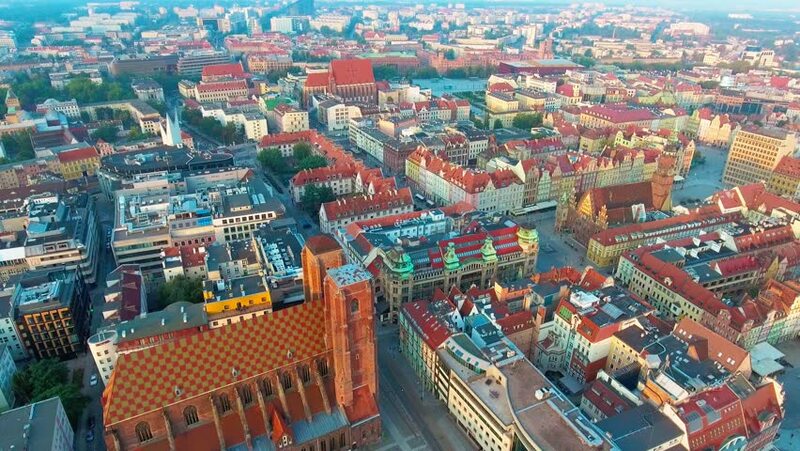 Aerial footage of Wroclaw, European Capital of Culture. Center Town Hall, Market Square, Sky Tower, City panoramic view. Traveling EU. 4k00:08Vienna skyline aerial time lapse. Capital of Austria on a summer sunny day. 4k00:24GDANSK, POLAND - May 07 2017: Aerial panoramic view of Gdansk.